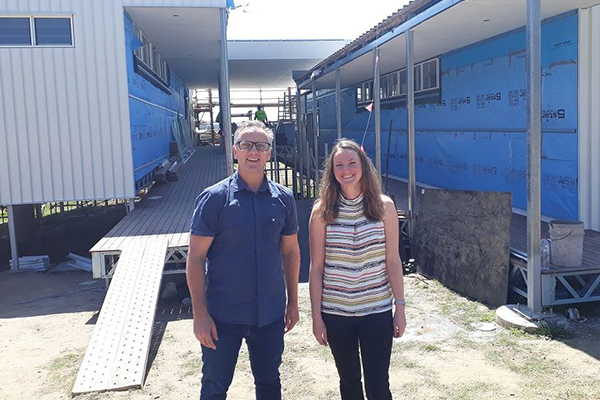 Construction of Family Recovery Units at Logan House is on track, with the units expected to open in January 2019. Built on the site of our longstanding adult residential services at Logan House, the new units mean that parents will be able to stay in this purpose-built accommodation with their young children. In addition to alcohol and drug counselling and group work, they will be supported in enhancing their parenting skills and life skills such as healthy eating and nutrition. The Commonwealth Government through the National Stronger Regions Fund awarded $986,000 towards building the units, while Lives Lived Well has contributed more than $1 million towards the project. Lives Lived Well’s Logan House is in a peaceful, rural area in Chambers Flat, south of Brisbane.